Last week was huge for Cathy! It’s official: we’ve turned in our petition signatures to get Cathy’s name on the ballot! Thanks to some amazing volunteers and support from voters across the district, we gathered double the amount of signatures needed. Plus, we reached our $1,000,000 goal! That’s one million dollars raised over the course of this campaign so far — without any PAC money or corporate donations. In fact, our average contribution is under $25. This campaign is a true grassroots movement, and our momentum isn’t slowing down anytime soon. 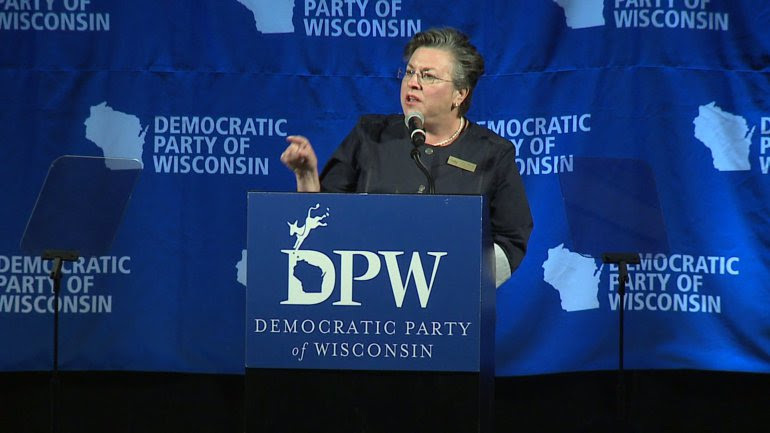 Finally, Cathy had an incredible show of support at the Wisconsin Democratic Convention! Watch Cathy’s speech here. Thanks so much for all your support. None of this would have been possible without our amazing team of grassroots supporters!